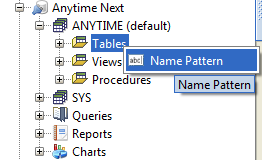 Forthcoming release of NextReports will allow, after connecting to a data source, to set a 'name pattern' for Tables, Views and Procedures. This is useful in case you know the names of those entities you want to use in your queries reducing the time of loading. 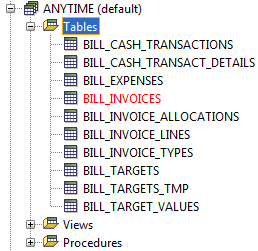 There may be thousands of tables in your database, so to have a filter is a nice addition. 'Name Pattern' is just a right-click action on Tables,Views and Procedures nodes from structure tree.